If you ask managers if they want their sales teams to become more social, their answer is unequivocal and definite: NO! ABSOLUTELY NOT! Social selling is a reality today but Sales Managers are still cringing when it comes to social selling. At the same time, Millennials too often continue to view LinkedIn simply as their online resume. Once they get the job they were searching for, they stop using the tool, which means that they’re missing out on THE major prospecting tool of our Sales 2.0 era. When it comes to reluctant organizations adopting social media tools, that’s going to involve a cultural change. Changing the minds of managers and other executives is where it all starts, because they are the ones that reinforce the desired behavior down the chain. But, you know what? When I scan through LinkedIn profiles, I still see tons of high-level executives who purposely do not have a strong presence on LinkedIn, or even a decent photo. 1. Create a Social Media Prospecting Blueprint. First, determine what social media tools resonate best with your target audience. Stick to a few tools — LinkedIn, Facebook, Twitter. Next, determine how many stages you have in your sales process, from beginning to end. Then take all of this and create a road map that includes tools and stages. 2. LinkedIn Is the New Requirement. Ignoring LinkedIn is a huge mistake in today’s sales world. Everyone on your team must, at the very minimum, complete their LinkedIn profile and commit to growing their network. Measure their results and include a social media metrics meeting as a part of your regular sales get-togethers. Hire a photographer, get a nice camera, and take a decent and professional picture. 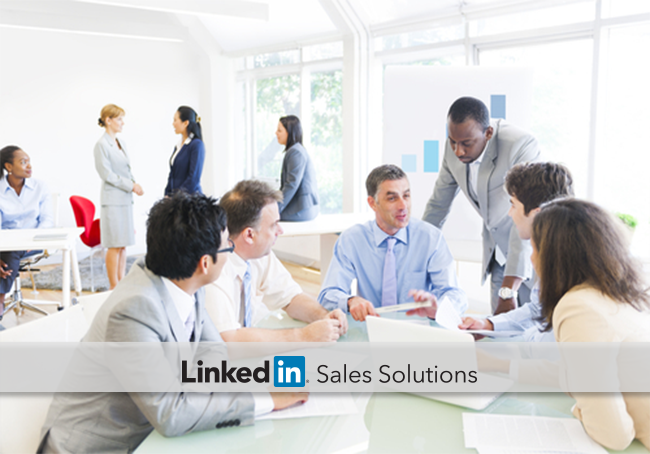 Remember, your LinkedIn profile is the hub of your social sales world. Make it look like you care! Create metrics that motivate and are geared toward social selling activity. Remember that the wrong metrics, weighted too much towards high outbound call targets, will motivate your reps to stay away from social in favor of hitting call numbers. At the same time, be sure that you’re measuring social activity and focus on actual results. Social media, after all, can still be a big time-waster for sales reps. You’ll want to encourage productive behavior and a results-oriented focus in your team. 5. Create Social Blitz Campaigns. Use social blitzes to encourage your team to include social media in their prospecting playbook. Once they get a few blitzes under their belt, they’ll likely start to understand the process better and will probably be seeing some results! Nothing motivates your team to adopt more social sales activity than seeing it work in action. Sales managers need to be well connected and strong on social media for so many reasons. It attracts top young sales talent and sets a social sales example for the team. It also allows your team (who should be connected to you on LinkedIn!) a way to get introduced to your connections: other high-level managers and executives in target organizations. Major sales advantages! Download our eBook, "How to Move Your Team to Social Selling", to learn more about creating a social sales culture.